The gym at Grand Harbour Hotel is within the iconic landmark located on the Southampton waterfront. With such a great location visiting this gym is perfect for those who are visiting for business or leisure. 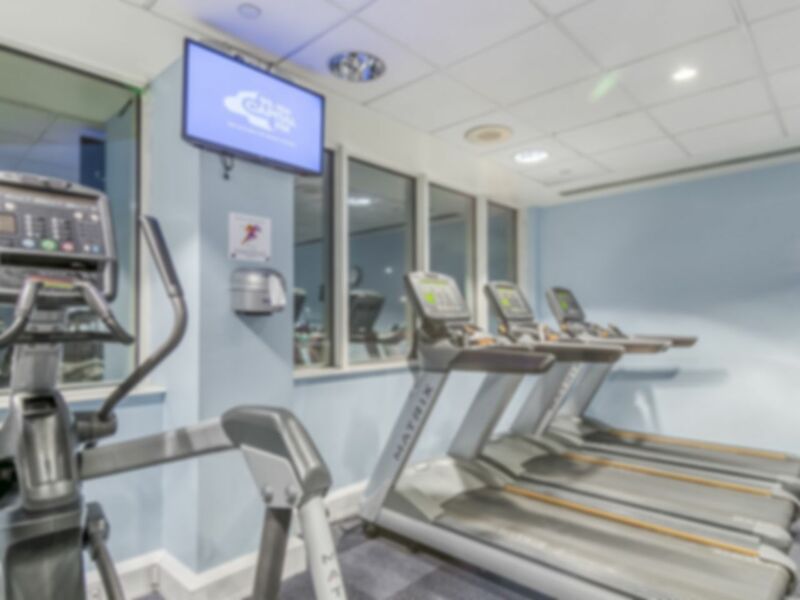 Work out in the fully equipped gym, kitted out with state of the art Technogym equipment, or have a quick dip in the beautifully designed pool. Whether you fancy some light exercise or want to get your blood pumping, the gym at the Grand Harbour has something for you. Relax and unwind after working up a sweat in the gym by putting your feet up and close your eyes on one of the comfortable poolside loungers. Enjoy the brand new spa pool beside the main swimming pool as well as the sauna and steam room to end your visit feeling thoroughly relaxed and rejuvenated. If you would like to add some pampering to your visit there are a large selection of Spa treatments available. Please note these are not included in your pass price and prior booking is thoroughly recommended. 15 minute walk from Southampton Central Railway Station offering services to London, the South West, South East, Midlands and beyond. - 10 minute walk to Red Funnel Ferries. - 5 minute walk from City Centre where buses serving Hampshire and beyond can be located. Experience Ok. Cold water in the pool, jacuzzi barely working, steam room with no steam. On the other hand, clean, not too busy and free parking. Generally a good experience, good range of equipment though I would suggest losing the both leg abductors to provide a more versatile modern multipurpose machine. Only one barbell though a good selection of bar bells. In 300 words? Poor first impression: For a ‘premium’ gym, I’m not sure what sets this it apart. Used towels all over the floor in the changing room, no toilet paper in the men’s toilets. Nothing that can’t be solved with more regular inspection rounds by staff. Nice pool area, sauna and steam room. Reasonable gym. Overall nice experience. Ok but not great !!! A very relaxing afternoon spent in the spa area. The sauna/steam room was nice 'n' hot, there's nothing worse than a luke warm sauna and a steamless steam room, which can sometimes be the case, but not here! The pool area was clean and the water crystal clear. Will definitely be going back!